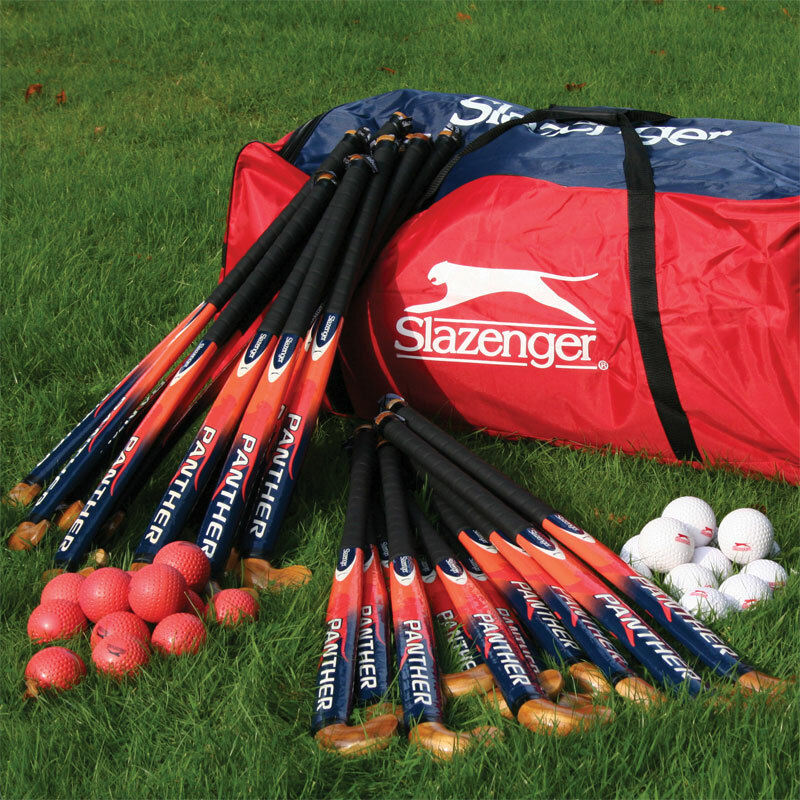 Slazenger Hockey Coaching Kit contains everything you need for a great game. 12 x 34" Panther hockey sticks. 12 x 36" Panther hockey sticks. 12 x Red field hockey balls. 12 x White field hockey balls. Large durable bag with U-shaped opening for ease of access. Hockey balls suitable for astro turf.